Honduras has a rich colonial legacy. Its churches, forts and ancient homes are a clear example. Honduras has more than 7 million acres of protected land, including 15 national parks, 2 biosphere reserves and 10 biological reserves safeguarding more than 200 bird and 20 mammal species. Quite rightly, the reefs of Honduras are called “the rain forests of the sea,” home to over 4,000 different types of fish and thousands of species of plants and animals. In Honduras, the reefs are pristine, the water is crystalline, the biodiversity and beauty of the flora and fauna unsurpassed. 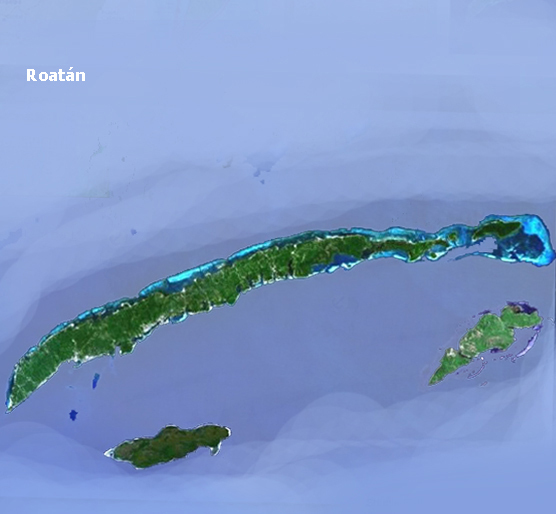 Of the three Bay Islands, the largest, and most developed for tourism is Roatan. Roatan is a long island, of almost 40 miles in length, it has a mountainous backbone and is totally surrounded by coral reefs, offering superb diving as well as excellent fishing. Roatan has a paved road that connects the most important communities of the Island. Starting from the Western End of the Island, at the community of West End, the roads leads through the communities of Sandy Bay, Coxen Hole, Brick Bay, Mount Pleasant, French Harbour and Oakridge - Punta Gorda. From here, the road becomes a dirt road and continues east for a distance, to the area of Paya Bay, Camp Bay, Port Royal, and other communities. Facilities include: restaurants, bars, shops, boutiques, markets and provisioning store at the base. Location: Honduras borders Guatemala to the west, El Salvador on the southwest and Nicaragua to the East. It also has access to the Pacific Ocean on the southwestern shore and to the Caribbean Ocean on the north. Time zone: GMT -6:00 (same as U.S. Central Time but does not observe daylight savings). Business Hours: The bank system - as well as most business offices - works 9:00 a.m. - 7:00 p.m. Monday through Friday and 10:00 a.m. - 1:00 p.m. on Saturdays. Closed on Sundays. Telecommunications: Internet, international telephone services, fax and cable television are available throughout the country. International area code is 504. Exit fees: Passengers of international flights must pay $31.4 US dollars. National flights pay 23.4 Lempiras (little more than one dollar). Other taxes: A 12% added value tax is charged on goods and services acquired in Honduras. Coxen Hole:The largest city and capital of the department of the Bay Islands, Coxen Hole is the most important city from the point of view of politics.It is also the main gateway to Roatan: Both the airport and the dock where the ferry arrives are located in Coxen Hole. In addition, many of the better souvenir shops are located here. There is regular bus and van service leading both, east towards French Harbour and Oakridge, as well as west towards Sandy Bay and West End. French Harbour:Perhaps the most bustling community on the island, French Harbour is home to one of the largest fishing fleets in the Western Caribbean and is the economic motor of the Island, with many of the banks in the island located precisely here. On the outskirts of French Harbour, a local islander has set up his own Iguana reserve. According to the owner, Arch, there are over 2,800 iguanas of four different species living on his property in French Key.You will marvel at the sight of these reptiles, which are quite docile, despite their prehistoric appearance. The entrance fee to the farm is $1.00 USA dollar per person. There are good photo opportunities, as well as some souvenirs. Oakridge/Punta Gorda:Continuing on the road towards the east, you will arrive at Oakridge, located on the southern end of the island. Oakridge is a small and very picturesque community with a strong afro Antillean influence. Up until shortly, access to this part of the Island was somewhat limited, and therefore, Oakridge has not changed much with the passing of time. On the south side of the island you can find a variety of communities, fringing the coast, starting with Jonesville, Oakridge and Calabash Cay. All three are very picturesque and interconnected by a series of canals through mangrove forests. Fishing here is outstanding. On the opposite side of the Island (The North Coast) is the Garifuna community of Punta Gorda, the only true Garifuna community on Roatan. Punta Gorda was actually the first Garifuna settlement in Central America. The Black Caribs or Garifunas where marooned in Roatan by the British in 1796 and first settled in Punta Gorda. To commemorate their arrival to Roatan, the Garifunas at this community have a carnival every year on the 12 of April. If you happen to be in the Island on this date, it is well worth your while to visit and enjoy the carnival. Sandy Bay:Sandy Bay is the cultural center of Roatan. It is here where the Institute of Marine Sciences, The Roatan Museum, the Carambola Gardens and Marine Reserve are located. You should definitely visit the area and its attractions. 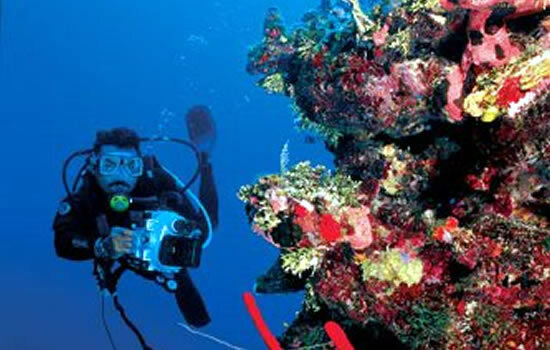 The famous Anthony's Key Resort is located in this area.The Roatan Museum is open from Thursday to Tuesday. There is an entrance fee for everyone not a guest at the Anthony's Key Resort. Entrance fee is $4 US dollars. The Institute of Marine Sciences has dolphin encounter shows regularly. On weekdays, the show is at 10:00 a.m. and at 3:00 p.m. On weekends there are three shows, at 10:00 a.m. 1:00 p.m. and 4:00 p.m. The entrance fee for the show is also $4 US dollars per person. Guests at Anthony's key are free of charge. There are no shows on Wednesday. West End & West Bay:This is the most popular part of the island because it has the most commercial establishments. If you're looking for liveliness and variety, this is the spot for you. You'll find idyllic beaches in a dreamy tropical setting and a full range of hotels and restaurants. You'll also find a variety of activities here, whether it's relaxing on the beach, boating along the coast, sailing, diving, sea kayaking or horseback riding. There's no bank in West End, so make sure you take care of your money needs back in Coxen Hole.